By Malorie Blackman, Adapted by Sabrina Mahfouz, Directed by Esther Richardson. Presented by Mercury Theatre Colchester and Pilot Theatre. Co-produced by Belgrade Theatre Coventry, Derby Theatre and York Theatre Royal. 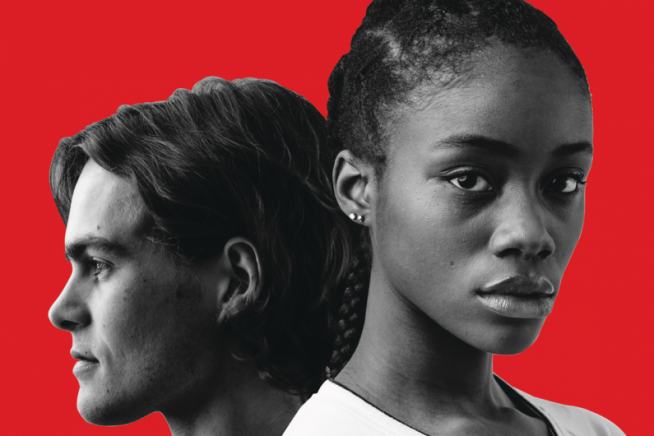 This gripping Romeo andJuliet story by acclaimed writer Malorie Blackman and adapted by Sabrina Mahfouz is a captivating drama of love, revolution and what it means to grow up in a divided world. Click here for an overview of all Essex Book Festival’s Young Essex events across the county this March.